It’s nearly Spring, which brings, in addition to longer days and flowers, a whole new crop of thru-hikers hoping to log miles and take names – trail names that is. While there may be a flood of people ready to hike all 2,650 miles of the Pacific Crest Trail, the PCT isn’t ready for hikers. Or at least California and it’s water supply aren’t. Now in their fourth year of a record-breaking drought, California’s governor has ordered a mandatory reduction in water usage. This is the first time in California’s history such a restriction has been made, but due to repeatedly low rainfall and a winter of record-low snow, it’s necessary. Snowpacks account for about a third of California’s water supply and early data shows that snowpack levels are lower than any year since 1950. In the Sierra Nevada, it’s at 6% the normal snowpack level. Where normally there are 6 feet of snow, there’s nothing. While some hikers may rejoice in knowing they won’t face potentially treacherous Sierra Nevada snow, most hikers will agree this ‘worst in a century’ snow level is nothing but trouble. And more than that, it’s downright dangerous. Just as water is central to California’s identity and economy, it’s the lifeblood of any long-distance hike. Without water, you can get in some serious trouble! Everyone who hikes the PCT does so knowing they will face a few long waterless stretches – potentially distances as long as 35 miles between natural sources. Unfortunately due to the drought, thru-hikers this year may even face the additional challenge of “reliable” water sources running dry. So how are hikers to plan? Can they rely on water caches? The Pacific Crest Trail Association (PCTA) says no. The PCTA has seen water caches spring up all over the trail, some in dry stretches and some as close as a quarter mile from a stream. While they appreciate the kind intentions of trail angels who leave these water caches, the PCTA doesn’t believe the end results of these caches to be a positive one. Water caches have been identified as a problem because they decrease wilderness, generate trash, and often become unofficial campsites. Water caches “decrease hiker preparedness,” ultimately making the PCT less safe. Because when it comes down to it, water caches have evolved on the PCT to be for convenience more so than for emergencies. The PCTA admits there will be a few locations where an exception to the “no water cache” rule is necessary because of the California drought. They are working to find the most sustainable and safe option available; something to keep both hikers and the environment healthy. 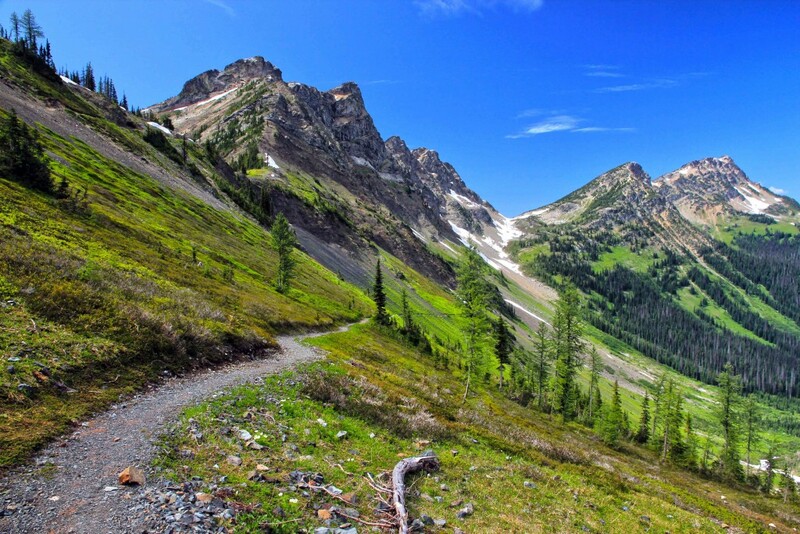 The Pacific Crest Trail is an intense physical and mental challenge on a primitive backcountry trail. It’s not intended to be easy. It is not meant for everyone. So as hundreds of hikers embark on their epic journey into the woods, a few questions remain. How much should a person’s thru-hike rely on their own self-sufficiency? How far is too far between water sources? And ultimately, just how easy should the Pacific Crest Trail be? “How easy should the PCT be?”…Seriously? What a terrible title. It probably shouldn’t be asked by someone who has not done the PCT. I’m 100% for removing MOST water caches after seeing how hikers some hikers abused them. They should be taken off of the water report. I saw people wash socks, take 5+ liters, and use them to wash up. Many hikers felt like water caches were something they could rely on. When they were found to be dry they would beg and ask for a 1/2 liter or a liter to get them to the next water source. I learned more about myself and my body when I tackled a 40 mile waterless stretch on 5 liters of water. I carried 7 but preserved as much as possible just in case the next source was dry. Some people will be responsible and do the PCT w/out taking water from caches. Others will use and abuse water caches the same way hikers/people use and abuse free services or trail magic. Water caches don’t make the PCT easier, but it makes the PCT safer. What is needed is education. Too many people treat water caches as trail magic. When you approach a water cache, when you think about taking a liter you need to ask yourself “Do I really need this? Is there someone behind me who will need this more than me?” If you’re not in danger, a water cache is not for you.